Catastrophe loss affected property and casualty insurance accounts are expected to rise by at least 10% in Asia through 2019 according to the broker, a forecast which bodes well for upcoming reinsurance renewals in Japan and the region. Insurance and reinsurance broking group Willis Towers Watson provides insights into Asian commercial insurance rates in its latest report on the segment. Following 2018 when the Asia region saw a number of major catastrophe loss events, particularly Japan, brokers at WTW are expecting the market to see a steady rise in rates, particularly across catastrophe exposed and large loss impacted property insurance accounts. The commercial insurance market landscape across Asia is becoming increasingly challenging, with large and complex risks now dominating and in many cases underwriters seen as unprepared for the changes they are facing. The major 2018 catastrophe losses in Asia, such as the Lombok earthquake, Osaka earthquake, typhoons Mangkhut, Jebi and Trami, as well as the Japanese floods, have all impacted many lines of business across the region, particularly property and lines such as construction. Significant attritional losses were seen and while events may not have always been large enough to drive reinsurance market losses alone, the proliferation of aggregate reinsurance coverage (particularly in Japan) ensures that a significant proportion of the losses faced in commercial insurance markets did flow through to reinsurance. “There have been a tighter scrutiny of underwriting practices and withdrawals by insurers from certain countries, lines of business and, in some cases, the region altogether. This is evidenced by the toughening of the market with insurers returning to technical underwriting. However, not all domestic markets have had the same experience nor are all countries seeing a hardening marketplace,” explained Ron Whyte, Chief Operating Officer, Corporate Risk and Broking Asia, Willis Towers Watson. Market capacity for large commercial risks in Asia is stable, WTW explains, and appetite from insurers for risk is still strong. But, in contrast to previous years, WTW sees a trend where by commercial insurers are now pushing back, resisting policyholders demand for continued rate reductions. The catastrophe losses of 2018 appear to have helped to strengthen insurers resistance to rate reductions, with many lines of business now expected to see rate improvements through 2019 and perhaps beyond. In particular and of relevance to the ILS and collateralised markets, property and casualty lines of commercial insurance are forecast to have on of the best chances of hardening. 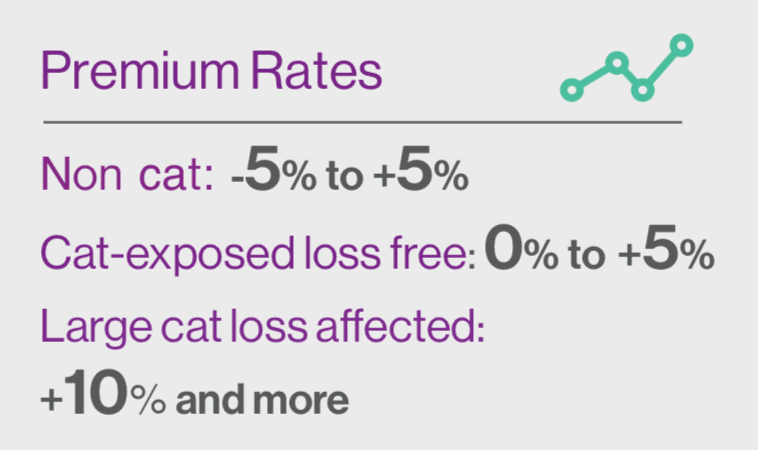 WTW says that non-catastrophe P&C insurance renewals are expected to be relatively flat (between -5% and +5%), while catastrophe exposed but loss free accounts are expected to be from flat to up +5%, and the large catastrophe loss affected accounts up +10% and greater. This aligns with the chatter about April’s reinsurance renewals, which while largely focused on Japan do provide a good bellweather for the broader Asian region. The expectation is that Japanese reinsurance renewals will see property rates largely up, especially the catastrophe exposed. While the large loss affected could be up at least 10% or more. If rates are rising in large commercial accounts as well, it stands to reason that insurers will have to pay more for their reinsurance to cover these risks, as the profit increase achieved from harder rates flows through the market value-chain. The other interesting area of commercial insurance that often has relevance for ILS and alternative reinsurance markets, is the construction arena. 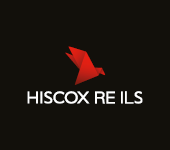 With many large property construction risks exposed to catastrophes they are often covered at least under retrocessional contracts that have some collateralised market participation. There have been a number of large losses for this market globally in 2018, with impacts also felt regionally in Asia in particular in Japan where there has been a significant construction impact from the catastrophe events that struck the country at a time when construction projects are rife in preparation for the upcoming Olympics being held there. WTW says that construction risks in Asia could see rate rises of +5% to +15%, as after the losses there has been a withdrawal of some capacity here. Again, rising rates in commercial insurance for these large projects can have a knock-on effect on reinsurance in the region, with the potential for some benefits to flow to those that do collateralise retro layers covering such project risks. There is also a market dynamic factor that could come into play here and may make the coming year or two very interesting to watch in Asia. Higher P&C rates will serve to make Asian risks increasingly attractive to the large, global re/insurers. It could be that they find primary and commercial property risks more attractive than reinsurance opportunities in the region, to capitalise on the hardening in these lines. 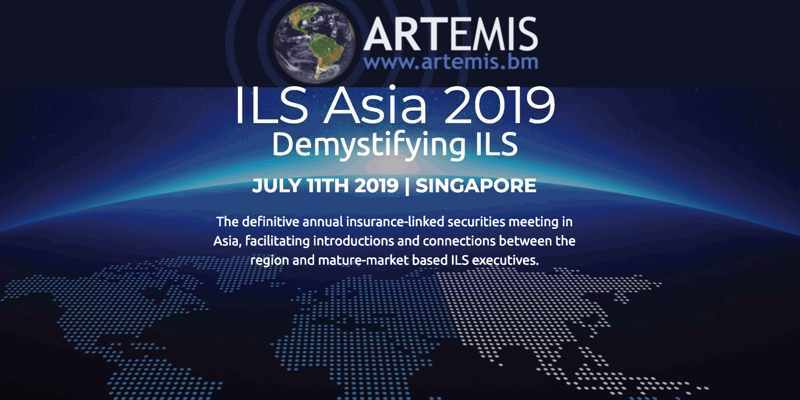 As a result, could they find it much more attractive right now to deploy more capacity on a primary business, than into reinsurance, and could that leave more opportunity for the capital markets on Asian reinsurance programs? Hard to say, but the dynamics of a rising market tend to produce surprises and also offer opportunities for some to arbitrage primary vs secondary and tertiary market rates. Read more of our reinsurance renewal related coverage here.